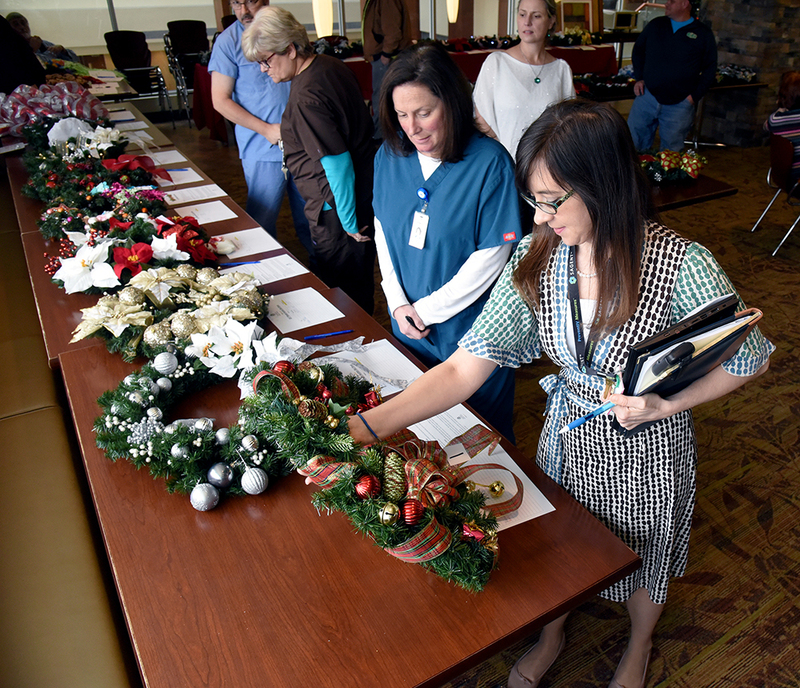 Decorated wreaths will be judged by the Family House Board of Advisors and auctioned from 10 a.m.- 2 p.m.
Prizes will be awarded in three categories: most whimsical, best overall, and most original. 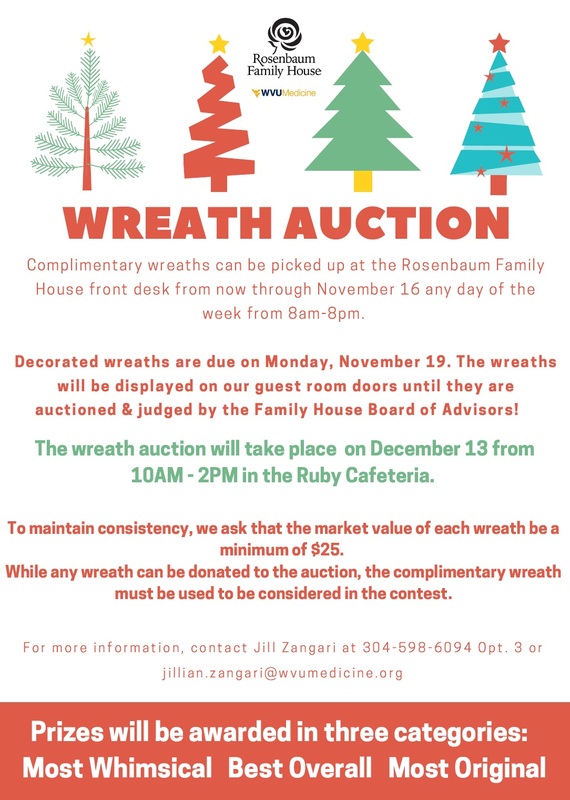 For more information, contact Jill Zangari at 304-598-6094 Opt. 3 or jillian.zangari@wvumedicine.org.